Featuring fast frequency, amplitude, and waveform switching, industry-best ACPR performance, high reliability, and simplified self-maintenance ? all in two rack units (2RU) ? Agilent MXG vector is optimized for manufacturing cellular communications and wireless connectivity components. Agilent MXG vector provides better value for your investment by increasing throughput, improving test yield, maximizing uptime, and saving rack space. 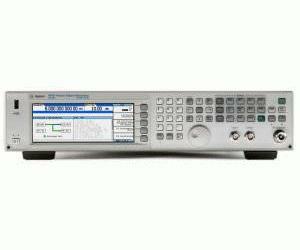 With scalable RF and baseband performance, the Agilent MXG vector is easily configured to meet your specific test needs.